Demons InterchangeDean Terlich and is possibly out for the game. Demons InterchangeDean Terlich off due to an injury. Demons InterchangeNathan Jones off due to the blood rule. Demons InterchangeJeremy Howe off due to an injury. Both sides are turning over the ball poor kicks to position have resulted in turn overs for both sides. The Dockers shark the second centre bounce but the Dees pounce on the ball shutting it down...another bounce on the far wing. GOAL DEMONSWatts, back into the team and into attack, has a dream opener as a poor kick out of defence falls into his chest, from 40 out he guides home the opener. 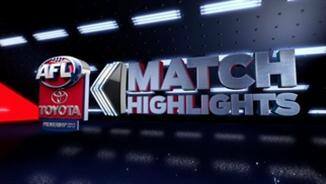 The ball is thumped into the turf and under clear, sunny skies the match is underway. The Dees will have their chance to move into attack courtesy of a free kick in the centre square. Welcome to Patersons Stadium and the clash between the Dockers and the Demons. 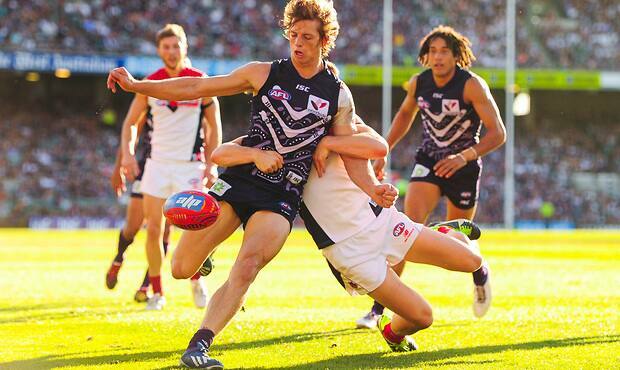 Fremantle are always a difficult opponent at home, can the Dees turn their season around in the West? Welcome to Patersons Stadium for the Fremantle v Melbourne Round 9 clash. 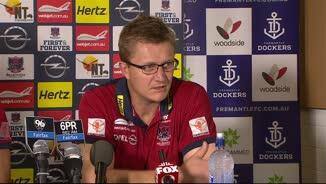 THE PRESSURE on Melbourne coach Mark Neeld is set to intensify following his side's 90-point loss to Fremantle at Patersons Stadium on Sunday. The Demons kicked the first goal of the match but were simply woeful for the rest of the opening half, with Fremantle opening up a 71-point lead by the long break before cruising to the 19.16 (130) to 6.4 (40) triumph. The result was Fremantle's biggest win over Melbourne, bettering the 61-point margin of last year's encounter. It was also Melbourne's 14th straight loss in Perth, with its last victory out west coming way back in 2004. The Demons have won just five of 31 games since Neeld took over as coach at the end of 2011. But more significantly, Melbourne has failed to make any progress in that time, with some critics suggesting the club has even gone backwards. Games against Hawthorn and Collingwood in the next fortnight are set to provide more pain for the Demons. "We're not sitting around having a look at our player list going 'oh, we've got to cull this many players'," Neeld said post-match. "This is the group that will take the football club through." Everything went wrong for Melbourne in a one-sided opening half. Neeld was forced to coach from the bench after his communication equipment malfunctioned. "We came up against a well-oiled, well-drilled side and we were overwhelmed with their pressure in the first half," Neeld said. And one passage of play in particular summed up Melbourne's mediocrity. Matt Jones had the chance to set up a rare attacking foray when he marked it on the wing in the second quarter. But his kick cannoned straight into the back of the head of teammate James Frawley, who was just five metres away and running to make space. It took Melbourne 13 minutes to enter its attacking 50m in the second quarter. But the result was an anti-climax, with the ball sailing out on the full. Fremantle's ruthless attack on the ball and high work rate when not in possession proved too much to handle for Melbourne, whose constant turnovers created a stream of opportunities for the Dockers. The Demons displayed more fight in the third quarter, but by that stage the game was already over, with Fremantle even subbing off star defender Luke McPharlin. 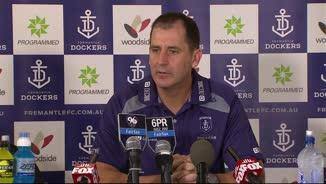 "We spoke at half-time about keeping our standards really high and doing the basics well," Fremantle coach Ross Lyon said post-match. "Human nature is once you get comfortable, you tend to back off. "At three-quarter time I certainly wasn’t upset but it was a bit about winning the four quarters. "I thought we played our style, our brand, so there was a bit to take bar what I said about the third quarter." Dockers forward Alex Silvagni faces a nervous wait after he was reported for a clumsy high bump on Melbourne's Nathan Jones. Melbourne high flyer Jeremy Howe (27 possessions, two goals) was a rare shining light for the Demons, while midfielder Nathan Jones also battled hard. Dockers midfielder David Mundy had 23 possessions by half-time before finishing with 34 disposals and a goal, while Nat Fyfe and Michael Barlow also ran rampant through the midfield.